Mark J. Sebastian, D.M.D. 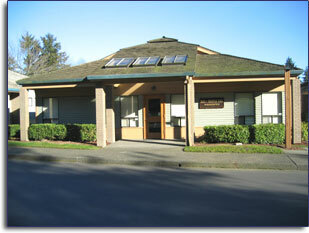 - Periodontics and Dental Implants for Federal Way, Washington for Federal Way, WA. Welcome to the office of Mark J. Sebastian, D.M.D. Our goal is to help you achieve optimal dental health through the best possible periodontal care. On your first visit to our office, we will make every effort to ensure you understand your dental condition and all possible options for treatment. The scope of our practice includes traditional periodontal treatment, cosmetic periodontal procedures, and the placement of dental implants. Our website is designed to answer the most common questions patients have before seeing us. If you have any additional questions before coming in, please do not hesitate to contact us by clicking here. Periodontal disease is responsible for over 75% of all adult tooth loss in the United States. During treatment we will work closely with your general dentist to restore your overall dental health. Each patient is treated the way that we, ourselves, would like to be treated. We want to ensure that you are entirely comfortable and will go out of our way to accommodate you. If you have any further questions, or would like to schedule an appointment, please call us at (253) 941-6242 or email us. We look forward to providing you with exceptional periodontal care. 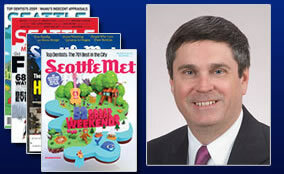 As he was from 2009 to 2019, Dr. Sebastian was again named as one of the "Best Periodontists" for 2019 in the Seattle Metropolitan Magazine.